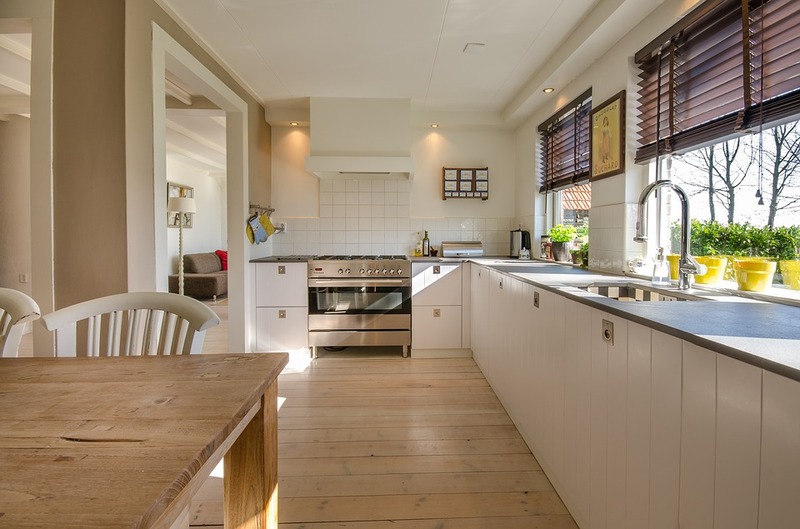 A new kitchen is a major investment for any household. Doing the installation yourself is within the capability of any DIY enthusiast, but Able Group recommend using professional services for electrics and plumbing. Why pay thousands of pounds to get your new kitchen fitted when you can do the job yourself? It might sound like a mammoth task, but fitting a kitchen is something that anyone with some basic DIY skills and a good tool kit can do. You can buy kitchen units from just about anywhere these days; the major DIY chains all supply kitchens – B&Q, Homebase, Wickes, for instance, as well as builders merchants such as Travic Perkins and Jewson. Ikea do a good range too, and their wall mounting system makes DIY installation a little easier. You can even get modular kitchens from Argos, perfect for smaller kitchens on a budget. Even if you just decide to fit the base and wall units and leave the rest to the experts, you could save yourself plenty. Kitchen fitters have been known to charge as much as £1,500 just to fit a basic kitchen – and that excludes the plumbing and electrical work. If there are some areas in which you are lacking the confidence or expertise, you can always call in extra help from professional electrical or plumbing services as and when you need them and do the rest yourself, or finish the kitchen with some professional tiling. Remember to use the appropriate safety equipment too, including gloves, goggles and a face mask. The sink unit will usually be positioned under a window. Hobs and sink units must not be positioned close to a worktop joint. Place the washing machine and dishwasher near the sink to make the plumbing easier. Beyond that, aim to ensure the new kitchen be as user friendly and practical as possible, and involve the entire family in the planning process. First, check the level of the floor, and from the highest point, measure up 870mm and mark the wall. Now use the spirit level to draw a level line. This will be the guideline for all the base units. Measure up from here to mark the bottom line for the wall units in the same way. The distance is up to you, but around 400 – 440mm is appropriate. Finally, from here, measure upwards again 720mm for the tops of the wall units. Assembling and installing the units from here is straightforward. Take your time, follow the manufacturer’s step by step instructions and before you begin, make sure all the components are present. The first one always takes the longest time, but once you have done one, you will find the rest come together faster than you could have imagined possible. If the kitchen is in an L or U shape, start from the corner and work your way out in both directions. When fixing the wall units, do not compromise on materials. If you are attaching to plasterboard, it is a good idea to fit some additional angle brackets going between the wall studs and the tops of units. They will not be obvious when everything is installed, and will save you from things going bump in the night! Published February 5th, 2018; edited April 12th, 2018. ← Sagging Ceilings and Bouncy Floors? Check Your Joists Now!